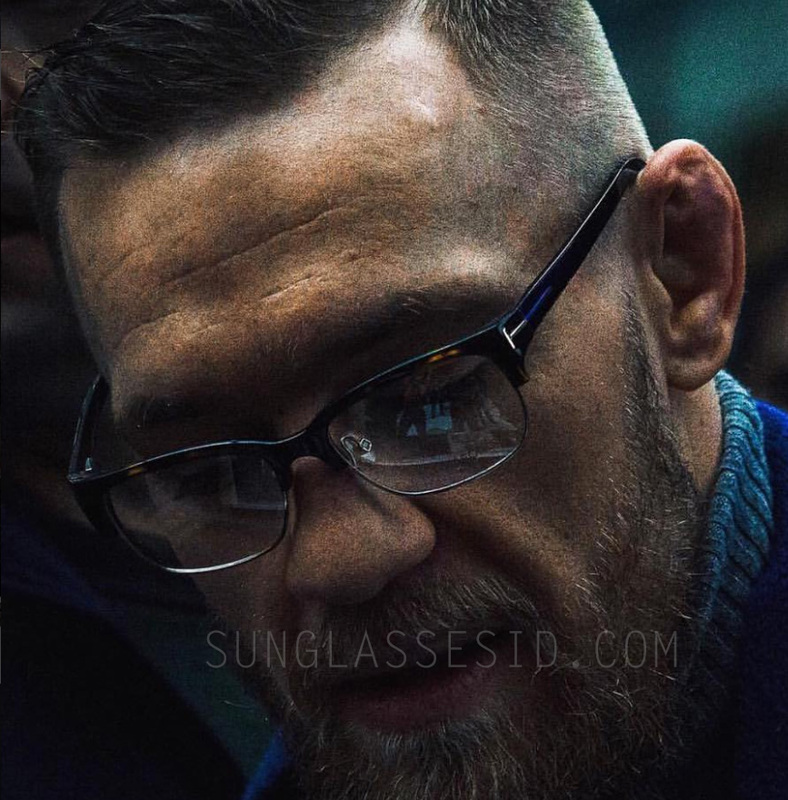 Martial Artist Conor McGregor wears Tom Ford 5307 eyeglasses. The glasses can be spotted on some of his Instagram photos. The glasses have a semi-rim, havana frame and the typical T logo on the sides. The same glasses are available online on Smartbuyglasses.com or you can find different colors on Amazon and eBay. McGregor has an impressive sunglasses collection, which include several Dita, Louis Vuitton and Tom Ford sunglasses, and these Tom Ford eyeglasses are relatively low-key and elegant compared to the other gold and oversized shades.